Firstly, go to your "Forms" page. Click the link in the destinations column of the form you would like to add the destination to. This will take you to the "Destinations" page. Once you're there, click "New Destination". A new page will load, and on it you will see different destinations to send your data. 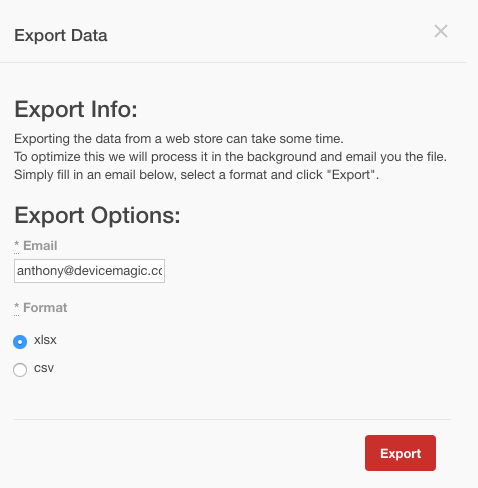 Select the "Device Magic Database" destination and then the "Spreadsheet" format. If you like, you can add a Description in your "Destination Options" box, but this isn't necessary. And you're done! 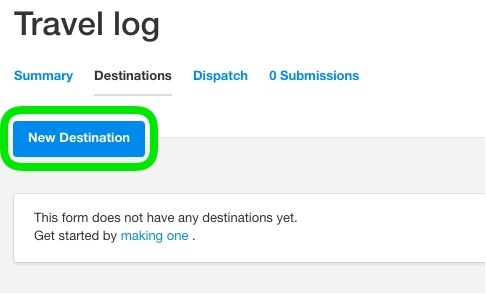 All you need to do now is click the "Create Destination" button at the bottom of the page, and you will be taken back to your "Forms" page. Note: Any data submitted before the Device Magic Database destination was added to the form, will not appear on the Device Magic Database Submissions page. If you'd like data resubmitted to this destination, please contact support@devicemagic.com. 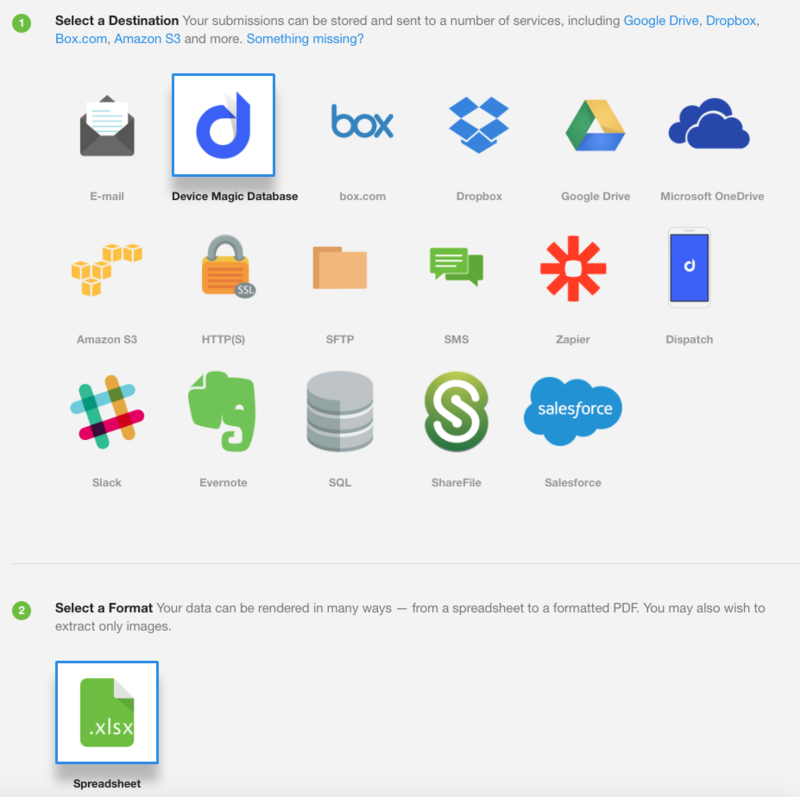 It should also be noted that if you are experiencing errors with the Google Sheet Connection (resulting in stuck forms) the Device Magic Database is a good alternative for those on the free plan. 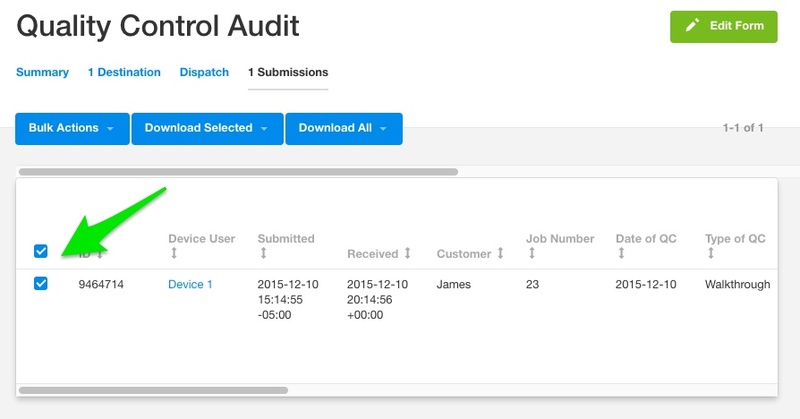 To read more about how to redeliver stuck forms, you can view our article on it here. 1) Select the entries you'd like to download to the left of each submission. If you'd like to download all entries skip this step and proceed to step 2. 2) Then, click the 'Download Selected' button and select the format in which you'd like to download the data. If you'd like to download all entries, click 'Download All'. After selecting the format, a download will be triggered. Please note, for large downloads it may be easier to select 'Send to email (big downloads)' after selecting 'Download All'. Then, input your email address, choose your format, and click 'Export'. An email will then be sent to the email address you specify with the attached document. This concludes our overview of the Device Magic Database destination. If you have any questions or comments feel free to send us a message at support@devicemagic.com or leave us a comment below.